Why we love it: Made for an active outdoor lifestyle, this water resistant and chemical free sunscreen offers broad spectrum sun protection in the form of non-nano Zinc Oxide. 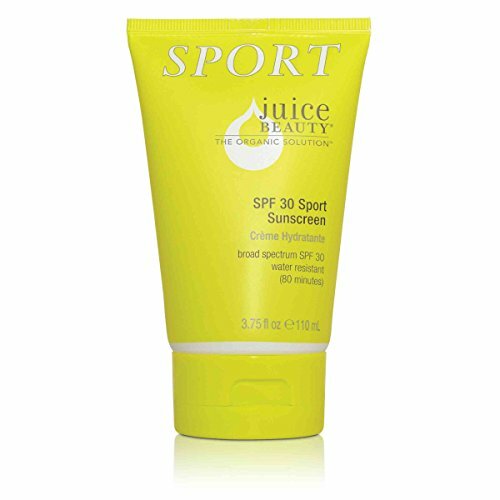 Organic Jojoba, Coconut and Aloe provide long-lasting hydration that allows this sunscreen to blend and absorb quickly without streaks. Apply head-to-toe prior to sun exposure. Reapply every 80 minutes. Contains no animal products. Formulated without parabens, petroleum, propylene or butylene glycol, sodium lauryl sulfates, pesticides, phthalates, artificial dyes or synthetic fragrances. Juice Beauty products are never tested on animals.